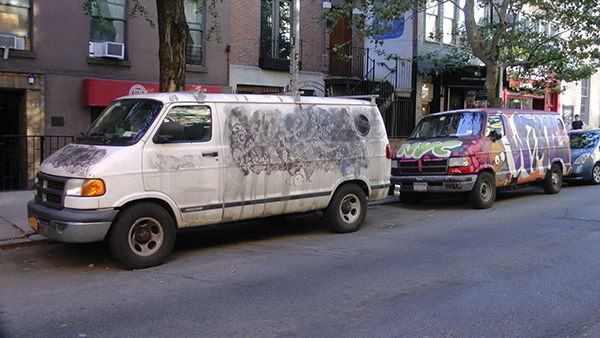 Unlikely pairing of unsightly vans. I mean, what were the odds — the chemistry van and the Simpsons van, together?! East Villagers love uncanny coincidences!